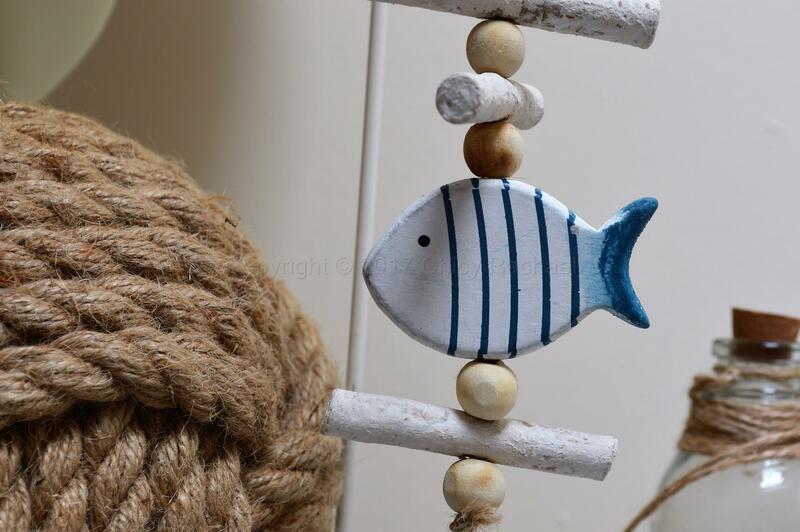 A gorgeous hanging decoration, with a painted white fish with blue stripes, with beads and pieces of wood. All of these are strung together with rustic jute string finished off with a painted blue and white metal bell. 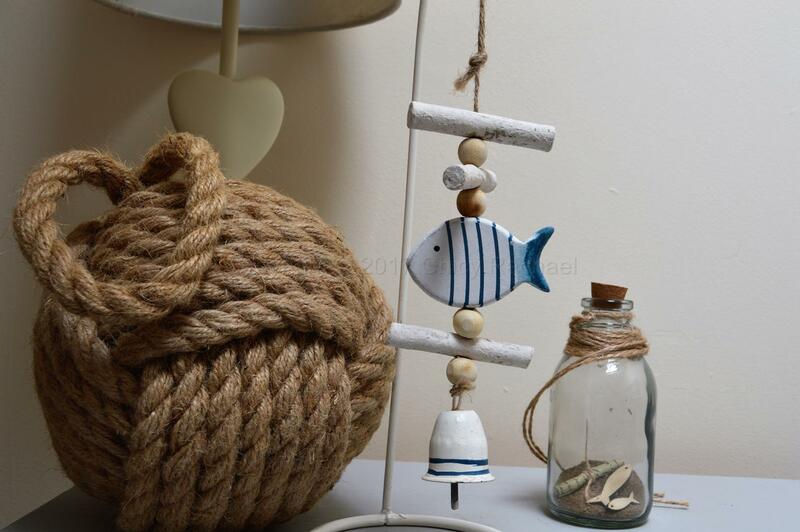 This would look lovely hanging in a nautical themed room or on a driftwood tree.